Suzie Kim submitted this photo and caption. This photo was taken in the Memorial Stadium parking lot after the 2008 World Championship Semifinals. 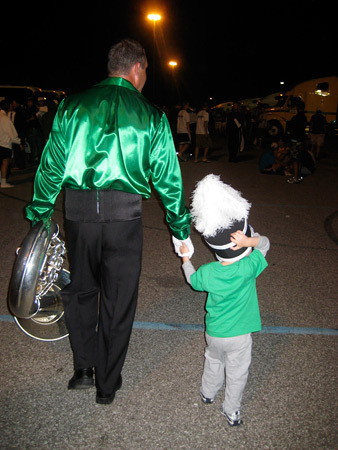 It was one of the Cavaliers Alumni Corps members and a young child, which to me represents what the drum corps experience is really all about.